With all of the zombie survival games out there right now flooding the market, when I first saw Mist Survival on Stream I thought to myself: “Oh boy, here we go with yet another watered down Early Access zombie game.” The trailer was pretty catchy though, so I decided to give it a fair chance anyway. One of the first things that I noticed was that there were multiple spelling and grammar errors on the menus, but since I’m assuming that English probably isn’t the developer’s first language, that’s okay (but please hire someone to edit your text!). I was rather shocked to learn that Mist Survival is a one-player game. 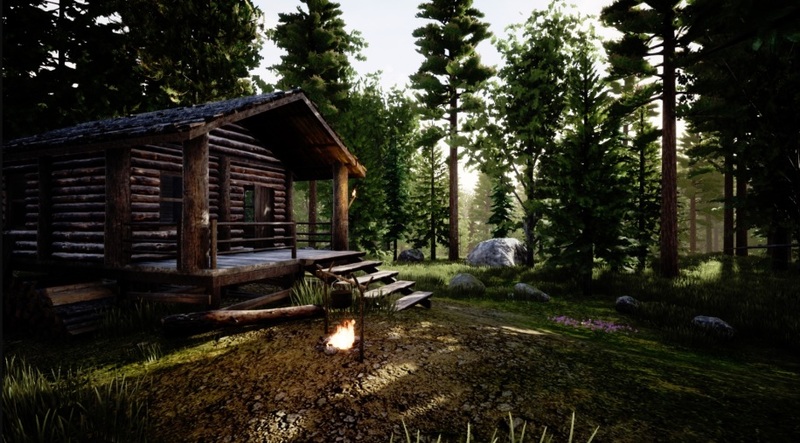 It’s rare that developers make single-player survival games these days since gamers seem to love sharing their experiences with other people. However, with Mist Survival, the solo experience actually turns out to make the game that much more immersive since you must rely on yourself (and any friendly NPCs) in order to survive. My first game consisted of being plopped down into a small forest camp with very little supplies. From there I strode through the woods and found a few scattered buildings here and there which I searched. Since one of the notes on the main menu warned that when mist appears in your area, you’ll be vulnerable to zombie assaults, I was in a hurry to get my grubby mitts on any type of weapon I could find. I ended up scrounging up a knife and a semi-automatic handgun with very limited ammo. After scavenging through a seemingly abandoned campsite, I saw a group of large buildings off in the distance as well as a decrepit shack nearby. Just then, the foreboding mist suddenly appeared (it just literally appears it doesn’t seep into the environs gradually) which caused my heartrate to rise. For some odd reason (probably panic) I chose to hunker down in the shack because I remembered that Mist Survival has a sleeping mechanic. So, I quickly deposited my derriere on the floor of the shack and commenced to get some shuteye. Unfortunately, my slumbers didn’t last long. Just minutes into my sleep I was awoken by a gaggle of snarling zombies who were sprinting towards me. Naturally, I tried to run away but they’d already taken a few swipes at me which resulted in some injuries and blood loss. Before I could get far the flesh-munchers were having me for dinner. Mist Survival is an unforgivingly brutal game. There is no tutorial—you are literally thrown out into the wilds with hardly anything and must quickly find food, water, weapons, supplies, and shelter in order to have any decent chance of making it far. Fortunately, if you’ve played 7 Days to Die or any other similar survival games, you’ll feel right at home with most of this game’s mechanics. For instance, the crafting system is pretty intuitive and well thought out. One of the things I liked about it right off the bat is that you can build whole shelters (albeit if you have the requisite supplies) instead of constructing them piece-by-piece. Another aspect that I really think is great about Mist Survival is that there is always a constant state of tension. Part of this is due to the skillfully-rendered, gloomy-looking environs. Another reason is that instead of it being a multiplayer game where you can have a buddy to watch your back, in this game you’re all on your lonesome and have to watch your own back at all times. 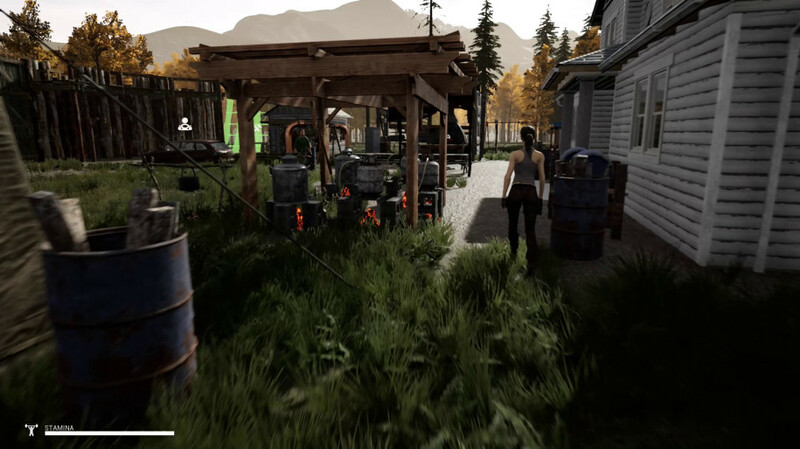 Mist Survival also sports a pretty nifty stealth system. 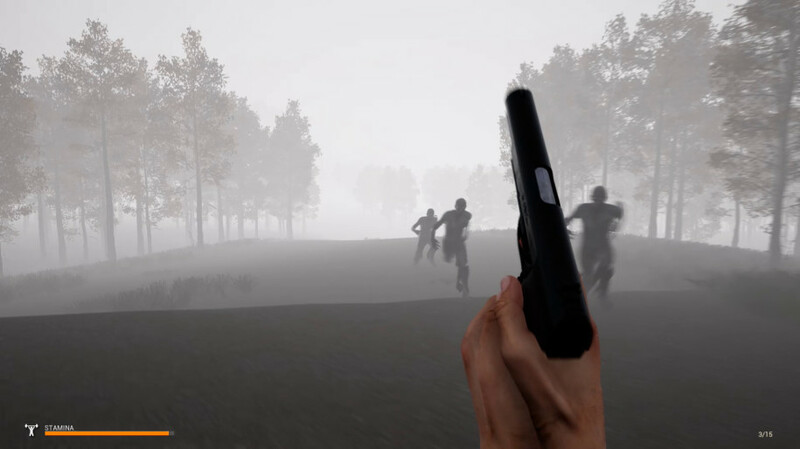 If you have a melee weapon handy you can sneak up on the zombies, wild animals, and bandits which populate the map. If you’re successful you’ll save yourself a lot of time and energy (as well as blood loss) because you can dispatch surprised foes with relative ease. Fail though, and your intended ambushee will turn around and wallop you. As with most Early Access titles, Mist Survival has its fair share of bugs but none of them are game-breaking in my opinion. 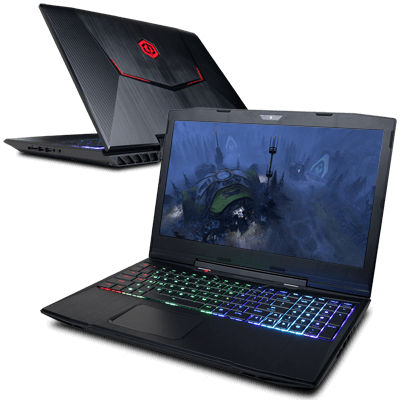 As a matter of fact, the game runs pretty smoothly on my GTX 970 4G Gaming card. Mist Survival also has some pretty nice graphics. We’re not talking SCUM or Miscreated levels here but they’re pretty detailed for such a budget title. Another promising thing about Mist Survival is that its developer, Rati Wattanakornprasit, seems very on the ball about following up his passion project with constant updates and bug-fixes. That’s a great sign in this day and age of “get-the-money-and-run” – type developers who abandon their games once they vacuum up some duckets. 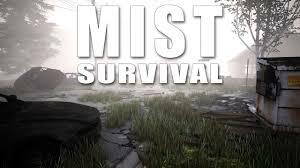 Mist Survival is a creepy, tension-inducing, highly fun zombie survival title that I’ll be following in the future. Mr. Wattanakornprasit already has plans to add more types of infecteds, more animals, and lots of other assets as well, and for the low price point ($11), I think it’s well worth it.